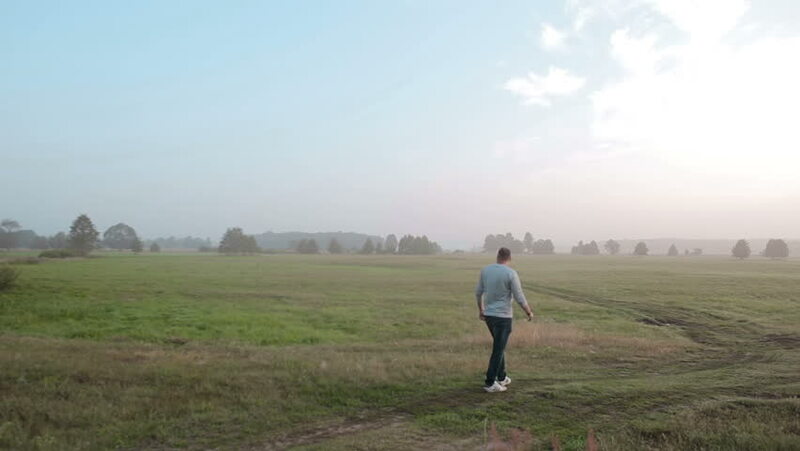 A tall man having a lonesome walk in the countryside. He is enjoying beautiful nature, walking on a country road. hd00:43Young beautiful Woman in black dress with black transparent cloth is dancing on the sea at sunrise. hd00:50Runner woman running in park exercising outdoors fitness tracker wearable technology. Jogging at sunset. 4k00:10Caucasian man jogging in nature on an autumn day. hd00:27Young man outdoors. Handsome man throwing cones in the lake. Beautiful nature. hd00:09Serious man looking in camera. Funny man making silly face. Smiling man with a beard. Different emotions.